Know a new mom or someone who is about to give birth? Gift them with a New Mom Gift Basket. Keep on reading for ideas. This is a sponsored post with Mirum. As always, all thoughts and opinions are my own. 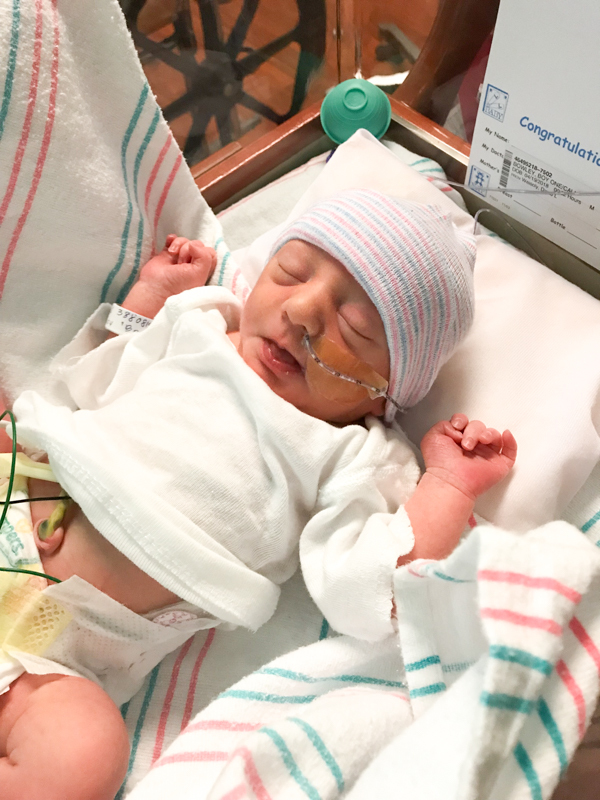 In April, my brother and SIL welcomed two little guys into their family making their family of 3 a family of 5. And that means that I became an aunt again to two identical twin boys who have already stolen my heart. They are completely adorable in every single way and I just love them to pieces. I mean, how could I not? They’re so soft and squishy and I can’t keep my hands off of them, y’all. I just can’t with that face – he’s already hammin’ it up. Because Mother’s Day is just around the corner and I’m so close to a brand new mom, I had the idea to make a New Mom Gift Basket. 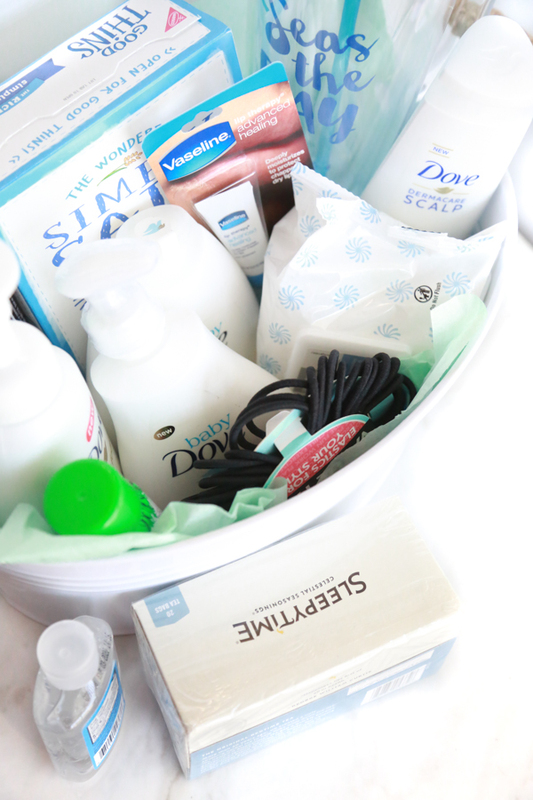 As a fellow mom, I know the struggles that accompany the postpartum process and I would have loved to receive a New Mom Gift Basket after giving birth. I know in my experience after giving birth the mom seems to be forgotten because – hello – brand new squishy baby. I get it. I’ve been guilty of it. But just think about how you could make a brand new mom feel if you gifted her with something that is just for so that she could pamper herself. After giving birth moms need some care and pampering, too. They spend so much time attending to the needs of their newborn (and any other children they might have) that they need to spend a little time pampering themselves. As a busy mom I know that it’s so important to put ourselves in time out so that we can be the best mom possible. It’s easy to get overwhelmed with all the needs of our family that we forget about our needs. 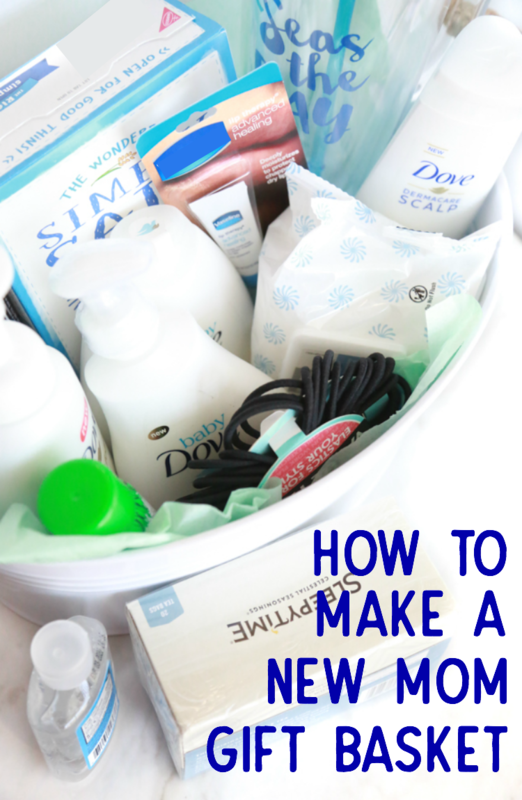 So what is a New Mom Gift Basket? It’s basically just a gift for a new mom with things you think she would like and that helps her adjust to life with a newborn. It really can include anything you think she would like. The entire point of the New Mom Gift Basket is to make her feel special and to give her items that she can pamper herself with. If you’re not sure what the new mom likes, don’t be afraid to ask her. 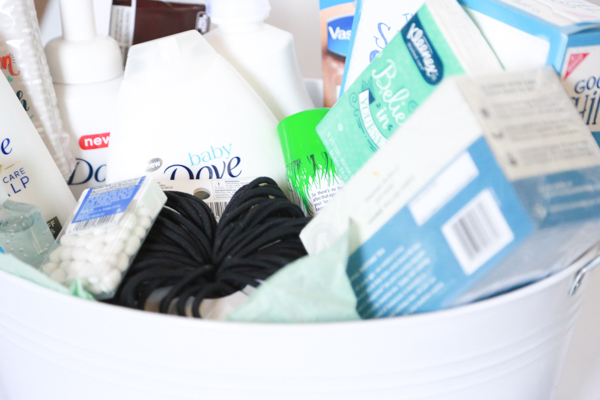 Here are some New Mom Gift Basket filler ideas to get you started. Now is the perfect time to buy and stock up at Rite Aid. 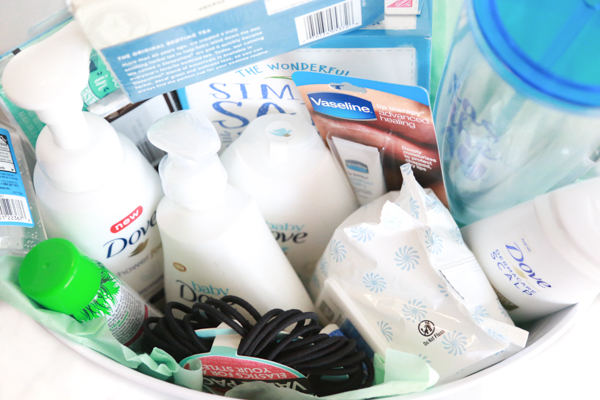 When you buy any Dove or Baby Dove product, get a second at 50% off (only valid 5/6/18 – 5/12/18 and 5/20/18 – 5/26/18). Also, when you spend $12 on Dove or Baby Dove products, earn $4.00 Wellness+ Bonus Cash (only valid 4/29/18 – 6/2/18). I love buying Dove because of the way they value women and encourage women to see themselves through a lens of positivity rather than negativity. Commercials don’t usually get my eyes to water, but Dove commercials sometimes do. They so intimately know the struggles that women face and they are diligently fighting for us to see the real us, and not the shell of the person we see in the mirror looking back at us. Get in to Rite Aid during this promotion so that you can stock up on your Dove and Dove baby needs and save while you’re at it. Don’t forget to pin this post to one your boards on Pinterest so that you don’t lose it. And if we’re not friends on Pinterest already, I’d love connect. You can follow me here. I think this is such a wonderful idea! Being a new mom can be overwhelming. A simple thing like this is just the thing to pick them up. Congratulations to becoming an aunt to twin boys! I am sure they would enjoy the gift basket you given them. I try to do something like this with each person I know that had a baby. It’s just a nice gift that is stuff they’re actually going to use. Those twins look amazing what a joy. I love the idea of this gift basket for the mother who did all the workand sometimes gets forgotten. Aww, how adorable!! I love babies so much! I think a gift for the mom is a great idea too! I need to get these Dove products for my baby. I bet they smell nice and will make his skin nice and soft. I LOVE this idea. We’ve done sunshine baskets in the past where everything is yellow. I love that you color coordinated everything in this basket in soothing tones of white and blue. Congrats! Your little nephews are so precious and beautiful. I’m the mom of triplets who were born some years back and we had the same pink & blue striped blankets as your SIL. What a wonderful idea! 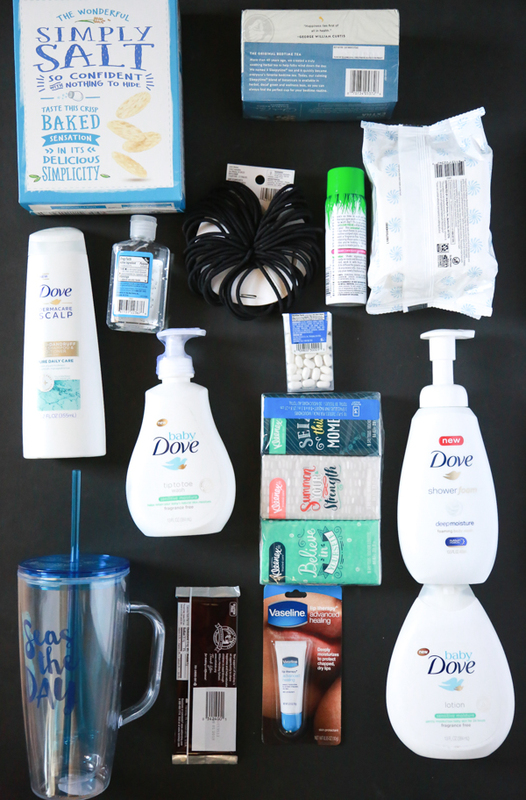 I have a pregnant friend, and will definitely be stocking up on Dove products for her! Such a great idea to give new moms! I’m sure it goes a long way and it would be so appreciated. Thanks for this, I’m bookmarking! Oh these baby pictures are making me swoon – so little and new! I love everything in this new mommy gift basket, but most of all that there are actually things for mom and baby! 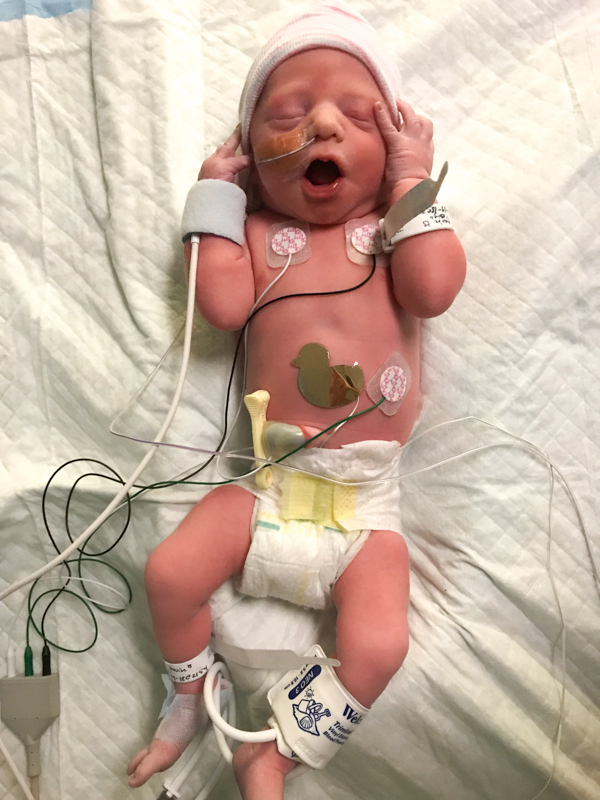 My Daughter just had our first had our first Grandchild and we could not be more in love. I will have to make my Daughter one of these baskets. It is such a great idea. Dove products are her favorite. Congratulations! I’m sure you’ll be a wonderful aunt to them! 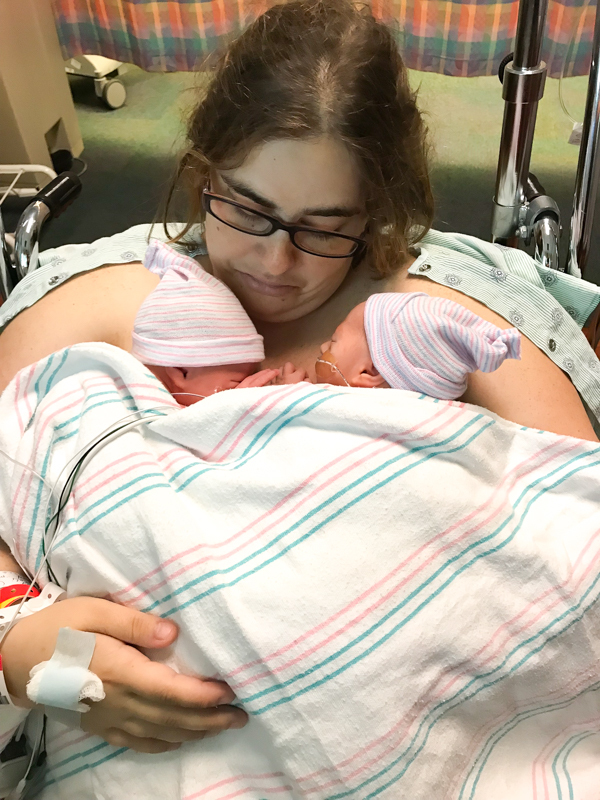 I am a mom of triplets and there is definitely an adjustment period to raising multiples. What beautiful baby boys. A new mom gift basket is a wonderful idea. You can never have enough hair ties. I am loving this gift basket. Mom definitely needs pampering after having a baby.